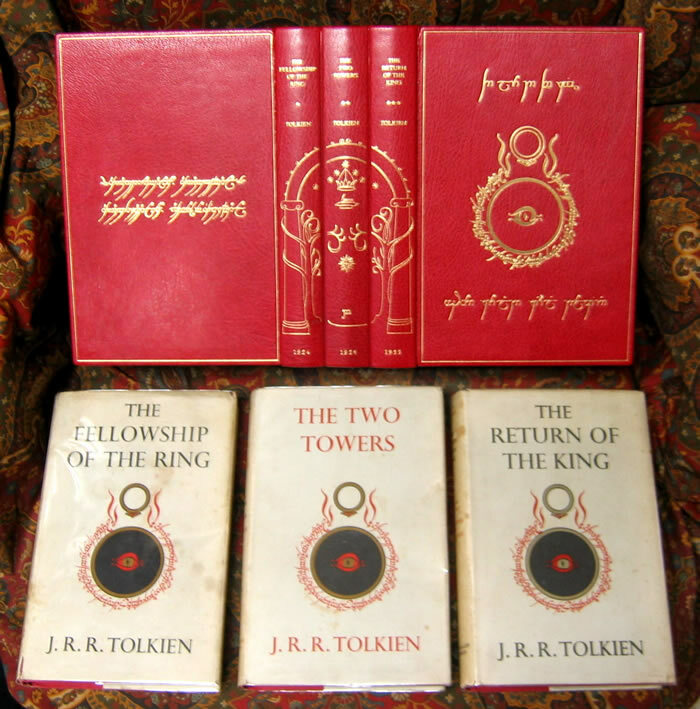 A custom Full Leather Clamshell Case to house your set of J.R.R. 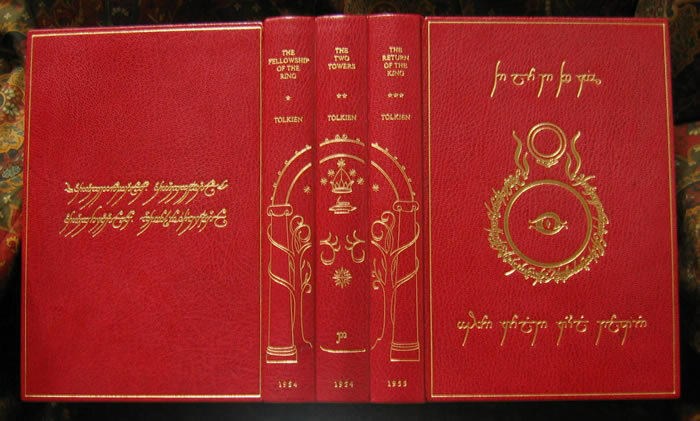 Tolkiens, The Lord of the Rings. 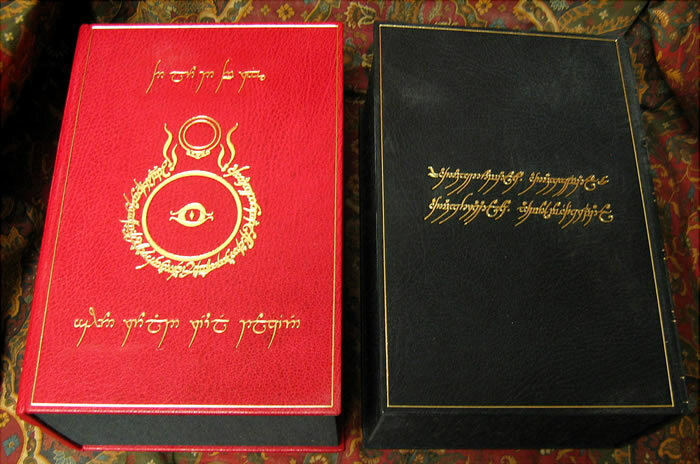 The case is covered in Crimson Morocco Leather, with triple raised spines, stamped with the Gates of Moria design, from Tolkien's orignal line drawing. 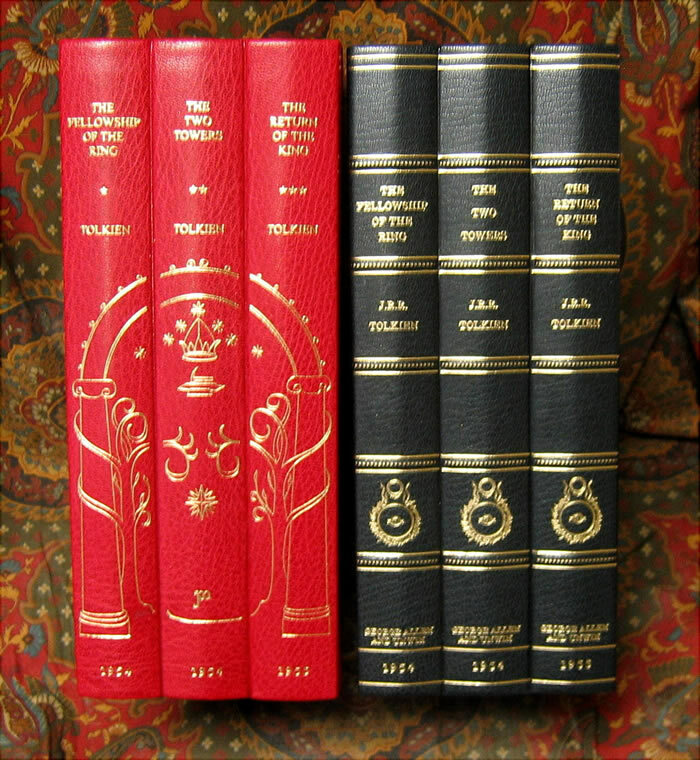 Dates underneath of 1954, 1954, 1955, to match the 1st impression of each book. Black cloth interior on the case. 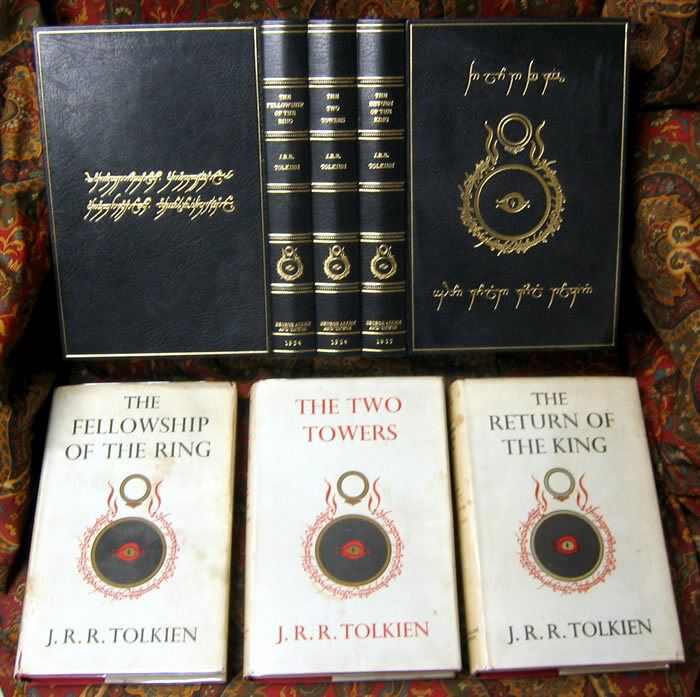 The front panel of the case has the title, 'The Lord of the Rings' in Tengwar Script gilt stamped at the top, a large' Ring & Eye' in the middle, and the full Tengwar Script 'John Ronald Reuel Tolkien' at the bottom. 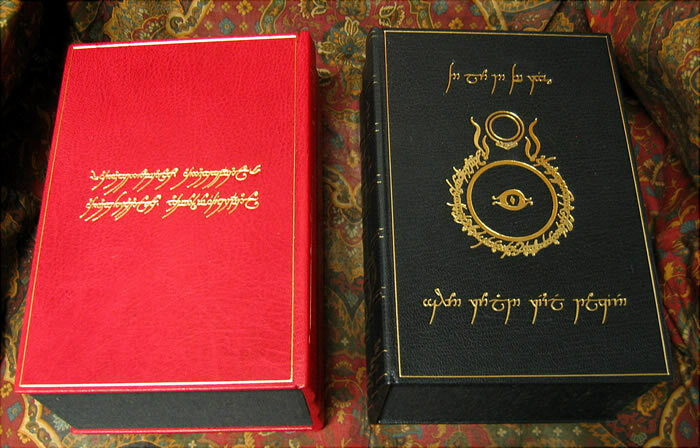 The rear panel of the case is gilt stamped with Tolkien 'Ring Poem' also in Tengwar. 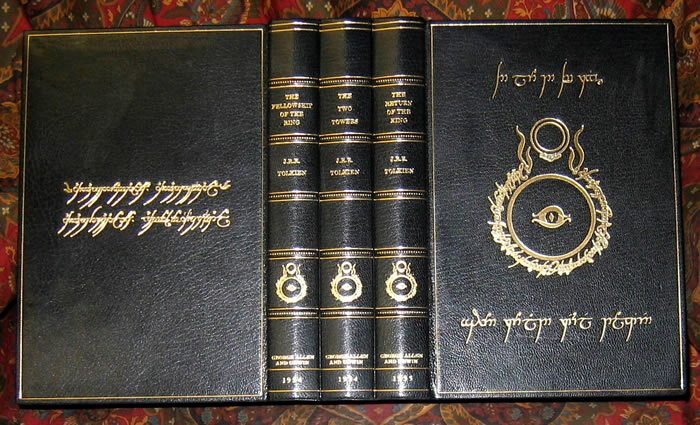 Crafted of the finest materials, by one of the premier binders in the US.